Here at TapSongz, we love finding new music as the year is coming to a close. Whether it is new alternative bands, talented singers, or up and coming DJ's, there is a plethora of new music waiting to be found in this wild industry. 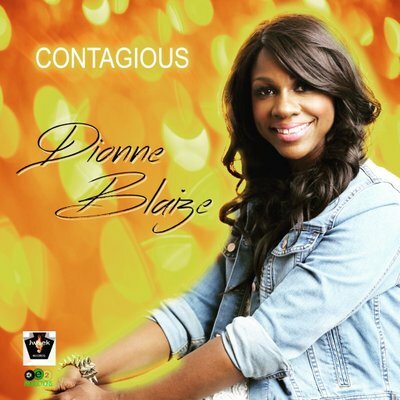 We recently came across Dionne Blaize who has such a refreshing sound that is really a combination of several genres. Our TapSongz Team had the opportunity to interview Dianne to learn more about her past, latest releases and plans for 2019! ​Dionne is originally from New York, but her parents are from Grenada. She has always been passionate about music since she can remember. "I've always been involved in music and starting writing songs as early as the age of five, but I started pursuing music professionally in 2010. I was involved in performing arts in middle school and high school," she recalled. Dionne is a proud American with Caribbean roots. "My Caribbean background has a strong influence on the music I produce. I am also an actress and working towards putting out short independent films." Fast forward to today and Dionne has made significant progress. "My most recent project is the album 'Contagious' which is available on all platforms. I wanted to put out a dance album that's fun, energetic, but still gives a positive message," Blaize told our TapSongz Team. When we originally came across the project on SoundCloud we were impressed with the variety of sounds and versatility. Dionne has a great ability to differentiate herself in an otherwise busy music industry. "I chose EDM / dance music for that specific reason. I also recently released a mixtape which is available on SoundCloud." Our TapSongz Team was a big fan of "Good Good" and "Green Light", both extremely catchy tracks that can be listened to below! Dionne is currently working on putting together a mini tour of shows and always appreciates her fans support. "I've done many shows in the past. There's nothing like it, performing live and connecting with people / fans." As for 2019, Blaize will be keeping busy to further enhance her sound. "My goals for this upcoming year are to continue writing and putting out good music as well as shooting new music videos and doing live shows." We encourage all of our viewers to check out Dionne Blaize's music on all platforms. Toss her a follow on Twitter to stay up to date with her releases and new music in 2019. There is so much upside for Blaize to continue to grow as a musician and share new music and we are excited to follow her journey. Here at TapSongz, we thank you for reading this feature article as we continue finding tomorrow's greatest music today!